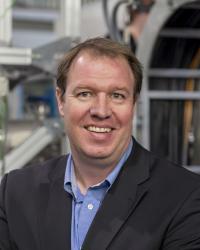 Dr. Jonathan Bagger was elected Director of TRIUMF effective July 1st, 2014. Prior to TRIUMF, he served as Krieger-Eisenhower Professor at Johns Hopkins University, Chair of the Department of Physics and Astronomy, and Vice Provost for Graduate and Postdoctoral Programs. From 2012 to 2013, he served as the university’s Interim Provost and Senior Vice President for Academic Affairs. Bagger’s research centers on high-energy physics at the interface of theory and experiment. Together with Julius Wess, he is the author of the monograph Supersymmetry and Supergravity. Bagger has twice been a member of the Institute for Advanced Study. He served as chair of the International Linear Collider Steering Committee, as vice chair of the U.S. Department of Energy/National Science Foundation High Energy Physics Advisory Panel, and as a member of the U.S. National Research Council’s Board on Physics and Astronomy. He has served on the Fermilab Board of Overseers, the SLAC Scientific Policy Committee, the Space Telescope Institute Council, and the Board of Directors of the National Space Biomedical Research Institute. He is a fellow of the American Physical Society and the American Association for the Advancement of Science. Bagger graduated from Dartmouth College in 1977. After a year at Cambridge University as a Churchill Scholar, he continued his graduate studies at Princeton University. He received his Ph.D. in 1983 and took a postdoctoral research position at the Stanford Linear Accelerator Center (SLAC). From 1986 to 1989, he was Associate Professor at Harvard University. Dr. Reiner Kruecken was appointed Deputy Director of TRIUMF in August 2015 after serving as Head of the Science Division since joining TRIUMF in February 2011. 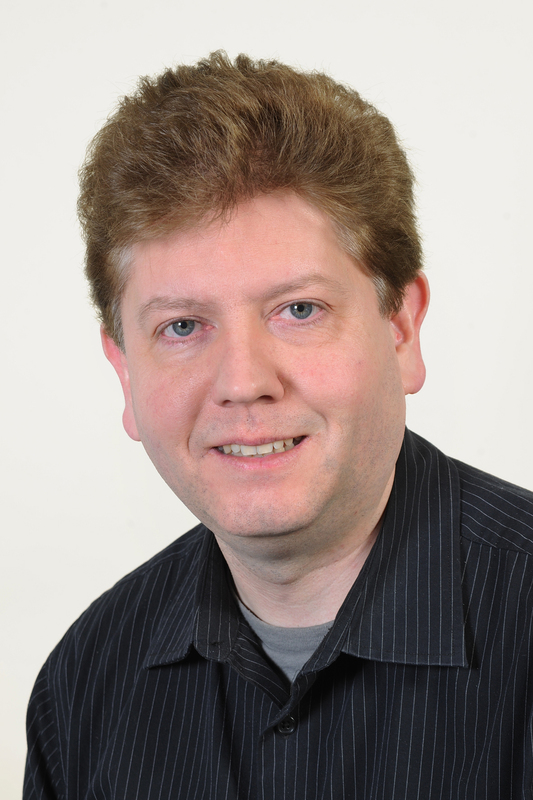 Dr. Kruecken also holds an appointment as Professor of Physics at the University of British Columbia (UBC). He was appointed Deputy Director, Research at TRIUMF on June 1, 2018. Before joining TRIUMF and UBC he held the chair (C4) for Experimental Physics of Hadrons and Nuclei at the Technical University Munich, Germany. Kruecken received his Ph.D. in nuclear physics from the University of Cologne in 1995. After a postdoctoral fellowship at Lawrence Berkeley National Laboratory he moved to Yale University in 1997 where he was an Assistant Professor at the Physics Department and the A.W. Wright Nuclear Structure Laboratory until he moved to Munich in 2002. Kruecken is an expert in gamma-ray and particle spectroscopy of exotic nuclei using radioactive decays and nuclear reactions. He has carried out internationally highly recognized research at world leading rare isotope beam facilities such as TRIUMF, GSI Darmstadt, ISOLDE/CERN, and RIBF/RIKEN. He also has conducted research in heavy-ion collisions and applications of nuclear physics methods to radiation biology and medicine. His current research interests are in the area of the structure of exotic nuclei and neutron matter with an emphasis on the shell evolution of exotic nuclei, neutron skins, and the synthesis of the heavy element in the astrophysical r-process. 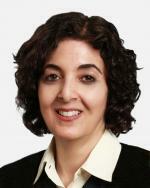 Kruecken has been a member of numerous international review panels, advisory committees, and editorial boards. He is currently a member of the C12 commission of IUPAP, the Scientific Council of GANIL, the JINA-CEE International Advisory Committee, as well as advisory boards for the Academy of Finland and the Austrian Academy of Sciences. He is chair of the Division of Nuclear Physics of the Canadian Association of Physicists and the Program Advisory Committee for the Helmholtz International Center for FAIR and recently served on the U.S. NSAC Long Range Plan Writing Group. Ms. Anne Louise Aboud joined the TRIUMF as Chief Operating Officer/Deputy Director, Operations on June 1, 2018. Aboud brings to TRIUMF a decades-long career as a senior-operations executive in the industrial, financial services and health care sectors working for such major organizations as General Electric, TD Bank, and LifeLabs. Anne holds a Bachelor of Engineering (Chemical) and a Master of Business Administration, both from McGill University, and a Master of Landscape Architecture from the University of Toronto. As TRIUMF’s inaugural COO/DDO, Anne draws upon on her extensive operations experience to continue driving modernization efforts and addressing current challenges to further enable the strategic growth of TRIUMF’s internationally renowned science programs, as well as facilitate new collaborations and ultimately discoveries within its global network of peer laboratories. Dr. Oliver Kester joined TRIUMF as the Associate Lab Director for the Accelerator Division in September 2016. Prior to joining TRIUMF, Kester served as a Director for the GSI accelerator facility in Darmstadt, Germany. He has also previously served as the director of the FAIR subproject ACC, where he was responsible for the construction of all FAIR accelerators. 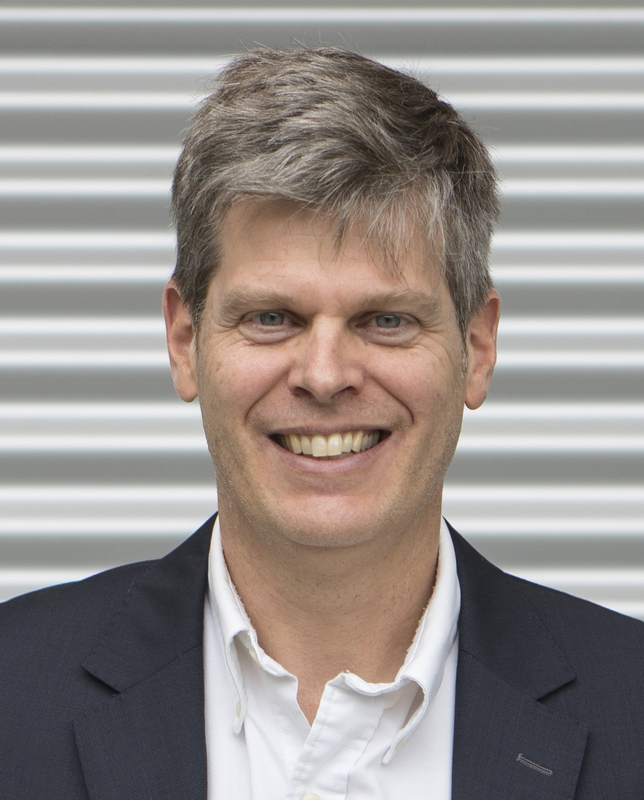 An accomplished accelerator physicist, Kester has been a professor at the Institute of Applied Physics at Goethe-Universität Frankfurt and has held various faculty and administrative positions at CERN, Universität München, and Michigan State University. Kester’s research interests include the production and transport of intense charged particle beams, accelerator cavity developments, beam instrumentation, and electron target development for heavy ion storage rings. He holds a Ph.D. in physics from Goethe-Universität Frankfurt and is the member of several national and international professional panels and committees. As the Associate Lab Director of the Accelerator Division, Kester is responsible for the safe, effective, and reliable operation of all of TRIUMF’s accelerator facilities, the construction of the ARIEL project, and the advancement of accelerator research. Mr. Remy Dawson's career has reflected his wide ranging interests and capabilities. He has worked in both science and industry, with particle detectors, commercial cyclotrons, linear accelerators, medical devices, and print industry capital equipment and software. Prior to rejoining TRIUMF six years ago, Dawson was a key driver in developing the team, the business strategy, and the products that became market leaders in the newspaper print industry worldwide. At TRIUMF, Dawson has made core contributions to the development of the Quality Management System and project management and is currently the Associate Lab Director, Engineering and co-leader of the ARIEL project. Dawson is a registered Professional Engineer and has a B.Sc. in Mechanical Engineering from the University of Alberta. Dr. Paul Schaffer came to TRIUMF in 2009. Before joining TRIUMF, Schaffer worked in the private sector as a Lead Scientist at General Electric Global Research in upstate NY where he was responsible for developing novel radiotracers for GE Healthcare. He graduated from the University of British Columbia in 1998 with a B.Sc. in both chemistry and biochemistry. He earned his Ph.D. at McMaster University in 2003, with his doctoral work focused on the design and synthesis of technetium and rhenium chelates as potential new radio-imaging or radiotherapy agents. Schaffer then became a Research Scientist at the McMaster Nuclear Reactor until joining the private sector. In response to the 2007-2009 Tc-99m supply crises, Schaffer and his collaborators spearheaded one of four successful efforts to establish proof of concept commercial-scale production of Tc-99m. This effort saw four institutions come together with funding from Natural Resources Canada (NRCan) to demonstrate direct production of this isotope using Canada’s existing medical cyclotron infrastructure. For his leadership on the NRCan effort, Schaffer was recently recognized by Business in Vancouver as one of British Columbia’s Top Forty under 40 individuals. The NRCan-ITAP team was also recently awarded the 2015 NSERC Brockhouse Prize for Interdisciplinary Research. Schaffer continues to re-define the TRIUMF Life’s Sciences program by focusing on its core competencies to deliver specific outcomes, and continues to connect the TRIUMF program with industrial and commercial interests. Dr. Jens Dilling was appointed Associate Laboratory Director for the Physical Sciences Division effective September 1, 2016. Dilling has been at TRIUMF since 2001, and has previously served as the deputy and department head for nuclear physics and the deputy division head of the Science Division. He holds a position as Adjunct Professor at the University of British Columbia. Dilling, a nuclear physicist, received his Ph.D. in Physics from the University of Heidelberg in Germany in 2001. He is an expert in trapping radioactive isotopes, with his research focusing on understanding what holds atoms together at the most fundamental level as well as precision measurements in nuclear physics. Dilling developed the TITAN (TRIUMF’s Ion Trap for Atomic and Nuclear Science) facility at ISAC, and played a key role in the design, building, and operation. TITAN is the fastest and one of the most precise ion trap mass spectrometers in the world. Dilling has also contributed to experiments at ISOLDE, CERN, and GSI, and serves on multiple national and international committees and boards. In 2013, he received the Canadian Association of Physicists' Vogt Medal for outstanding contributions to subatomic physics research. 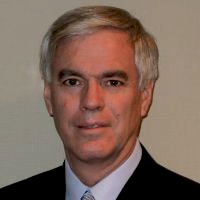 Mr. James “Jim” Hanlon has worked in the field of Research Administration for 26 years, five years in the for-profit sector and 21 years in the non-profit sector. Serving as TRIUMF's Chief Administrative Officer (CAO), Hanlon oversees the laboratory's business and administrative functions. 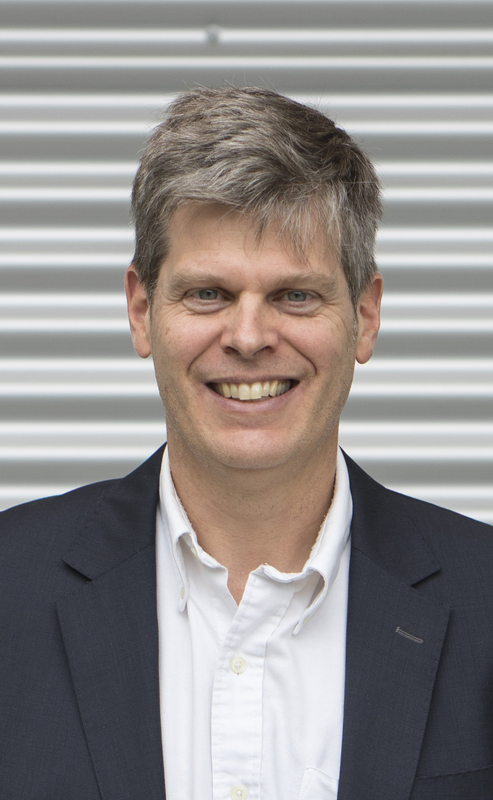 He is also Secretary to the TRIUMF Board of Management and President and CEO of Advanced Applied Physics Solutions (AAPS), Inc., TRIUMF's commercialization company. Prior to working in research administration, Hanlon worked in a number of financial and administrative positions in the manufacturing and distribution business. He holds a BA in Economics from the University of Ottawa and a Certified Human Resources Professional (CHRP) designation. Mr. Henry Chen joined TRIUMF in 2011 as Chief Financial Officer (CFO). 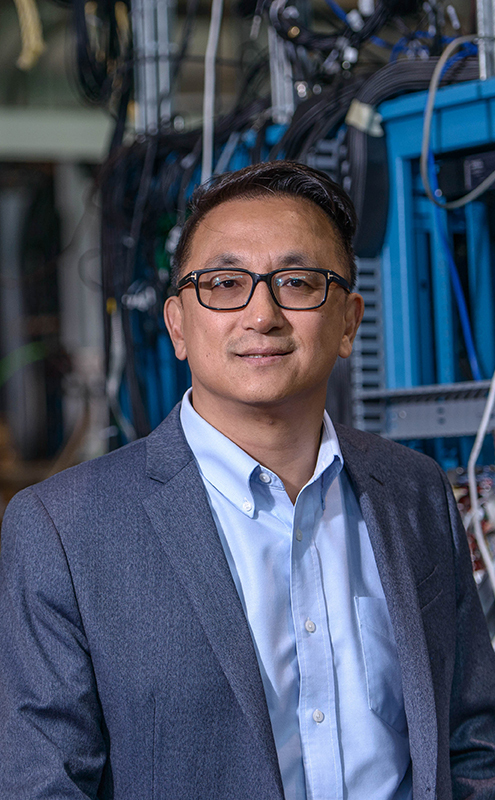 Just prior to joining TRIUMF, Chen managed the financial and business affairs of a large not-for-profit organization working with the University of British Columbia (UBC). To date, Chen has accumulated 30 years of experience spanning industries within the profit and not-for-profit sectors including public sector finance (federal and provincial), retail, wholesale distribution, and hospitality management both nationally and internationally. 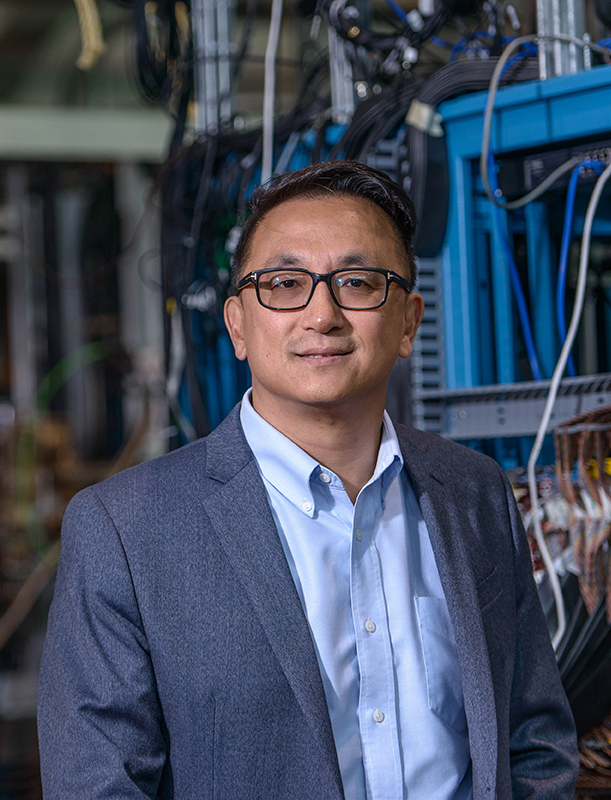 Chen is also Secretary of TRIUMF's Board of Management's Finance and Audit committees, and CFO of Advanced Applied Physics Solutions (AAPS), Inc., TRIUMF's commercialization company. Chen is an alumnus of the UBC Faculty of Commerce and holds the CPA, CMA accounting designation. Dr. Anne Trudel’s career has spanned many different areas at TRIUMF. Having completed her doctoral studies in low energy nuclear physics in 1987, she joined the nucleon charge exchange program then underway at TRIUMF. From there her interest in detectors led her to work on a transition radiation detector that was designed, built, and commissioned as part of TRIUMF’s contribution to HERMES. In 1996, Trudel joined the radiation protection group as Health Physicist. It was a natural fit, capitalizing on her expertise with detectors and applying it to the protection of health and safety in the workplace. Since 2006, she has headed up the Environment, Health & Safety Group at TRIUMF. Her professional activities in the area of safety have included participation on international accelerator safety review committees as well as representing accelerator facilities on the CSA N288 Environmental Series Standards for Class I Nuclear Facilities. Mr. Sean Lee came to TRIUMF in May 2014, bringing significant experience in government relations and international affairs. Serving as Head, External Relations, Lee oversees TRIUMF’s relationships with government and international stakeholders, and also actively supports the laboratory’s engagement with its university members. Prior to joining TRIUMF, Lee developed his skills in various positions in Washington, DC and Ottawa, ON. Most recently, Lee served as a Senior Innovation Officer with Foreign Affairs, Trade and Development Canada where he worked on the development of Canada’s international science and innovation policies. Lee holds a BA in Political Science from the University of British Columbia, as well as an M.Sc. in Comparative Politics (Conflict Studies) from the London School of Economics. Mr. Davis Swan began his career working for the Geological Survey of Canada in Vancouver and was the lead author of a number of peer-reviewed scientific papers. His B.Sc. thesis on the submarine landslide that caused a tsunami in Kitimat Harbour was referenced recently in the Northern Gateway pipeline environmental review. After graduating with a degree in Geophysics from the University of British Columbia, Swan spent more than 25 years working in the oil and gas industry in Calgary, starting as a Seismic Data processor and moving towards specializing in data management and software development. For five years, he led the information technology team at a mid-sized heavy oil producer where he championed many innovations, including the construction of the largest private wireless WAN in North America. Since returning to Vancouver, Swan has held positions with Telus managing the team that monitors and controls the Telus corporate and consumer networks, and with ICBC developing Business Intelligence solutions. Most recently, he has worked in the post-secondary community in Vancouver, beginning with a position leading the Business Applications Services team at the BC Institute of Technology (BCIT), after which he was seconded to BCNET as the Manager of Enterprise Systems Services. Swan received his Project Management Professional certification in 2007. He is committed to enhancing the computing and communications facilities at TRIUMF while reducing costs so that resources can be directed towards fundamental science initiatives. Mr. Eric Guétré joined TRIUMF in 2011 and has held several project management roles at the lab. In his first years at TRIUMF as a Project Engineer for the Advanced Rare Isotope Laboratory (ARIEL), Guétré led TRIUMF’s efforts to devise a systematic approach for annual maintenance of accelerator systems. Guétré became Head of the Project Management Office (PMO) in September 2017 and currently leads TRIUMF’s Project Management Oversight Group. Before joining TRIUMF, Guétré held the position of Director of Global Project Management at Heli-One and worked for several years as a Product Development Manager at Nokia leading teams developing mobile phones from concept to mass production. He started his career as a lieutenant in the Royal Canadian Air Force working on avionics upgrade projects and worked as a design engineer in the satellite communication industry. Guétré has B.Eng. in electrical engineering from the Royal Military College of Canada and an M.Eng. in radio-frequency engineering from Carleton University. He is registered in B.C. as a Professional Engineer and is a certified Project Management Professional.